With his 2001 mega-bestseller Fast Food Nation, Eric Schlosser inspired a grassroots food movement that changed the way Americans eat. Command and Control, his new book, exposes a shocking history of accidents and errors in the US nuclear arsenal, including the time a B-52 almost nuked North Carolina. I spoke with Schlosser by telephone on October 27. Mark Hertsgaard: You report that at least 1,200 US nuclear weapons were involved in significant accidents between 1950 and 1968. Two of the most extraordinary accidents took place in North Carolina and Arkansas, right? On September 18, 1980, a couple of workmen were doing routine maintenance at a Titan II missile silo in Damascus, Arkansas. 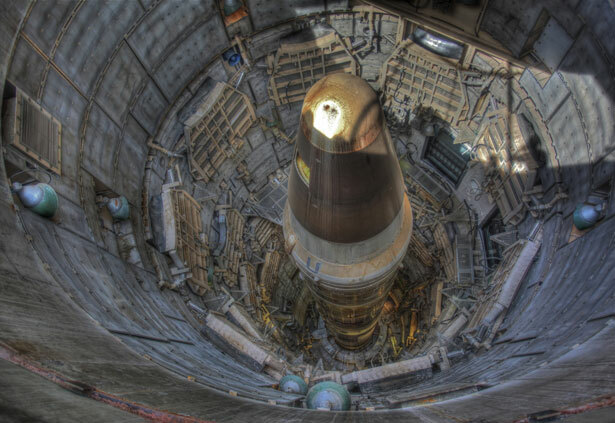 The single warhead on the Titan II had three times the explosive force of all the bombs used during the Second World War combined—including both atomic bombs. As one of the workers prepared to remove a pressure cap near the top of the missile, the socket fell off his wrench handle. The tool fell about seventy feet, bounced off part of the silo, struck the missile and pierced its metal skin. Thousands of gallons of highly flammable, highly explosive rocket fuel began to fill the silo. Had [the warhead] detonated, the state of Arkansas would have been consumed by firestorms. MH: Can books still spark social change? ES: Absolutely. I do not think in any way that the new technology has made the book obsolete. Even an excellent documentary can’t give you as full an experience of a subject as a book can. MH: Has the Internet helped or hurt a book’s ability to affect society? ES: Take that [secret US government] document describing the North Carolina accident. I had that document for three years. During that time, the only people who saw it were me, my fact-checker and the US government censor. Then I gave it to The Guardian, and it was instantly spread all over the world. The Internet is a way to get spied on, but it’s also a way to get vital public information out. MH: The extraordinary value of Command and Control is in showing how fortunate we have been throughout the nuclear era to avoid catastrophes beyond the intentional ones of Hiroshima and Nagasaki. It seems we’ve been saved by sheer dumb luck as much as anything. ES: Given the many close calls that we’ve had, there’s no simple explanation for why a nuclear weapon has never detonated accidentally in the United States. A great deal of credit must be given to our weapon designers for their technical expertise, and to the military personnel who risked their lives (and sometimes lost them) trying to prevent nuclear catastrophes. But a hell of a lot of good luck was involved, too. And there’s no guarantee that luck will last. MH: What can be done to minimize, if not eliminate, the risks of a nuclear weapons accident? ES: I wrote this book to remind people that the danger didn’t vanish along with the Cold War. I’d like to see a vigorous national debate about our nuclear weapons—how many we should have, why we need them, how they might be used. The same sort of activism now directed at climate change should be focused on nuclear weapons worldwide. Global warming and the detonation of nuclear weapons are the two existential threats that mankind faces today. And neither one is inevitable. MH: What’s next after touring for Command and Control? ES: I’m looking forward to being home for a good long time so I can clean my office. You wouldn’t believe what a mess there is. If the government broke in here to try to find my documents, there’d be no way!